Are Cooper Union’s finances fixable? Felix Salmon does some math. MOCA’s New Sculpturalism show is back on track — but a lot of questions remain. My latest in ARCHITECT. When is a Warhol authentic and when is it not? For the authentication committee at the Warhol Foundation, these are serious questions — with some significant legal ramifications. A new book accuses Joseph Beuys of having close ties to Nazis. Draw your own conclusions — I’d need to read the book and see a more thorough explanation of the evidence before I make up my mind on this one. Good read: Ben Davis on Jeff Koons. This piece by Deborah Solomon on WNYC is kind of cockamamie: “Critics have no doubts.” “They specialize in certitudes.” “Their prose is notoriously dense.” Seriously? NYU’s Fales Library has put all of David Wojnarowicz’s papers online. Jörg Colberg’s photography blog, Conscientious, now has a new home. Update your feed readers with the new link! Michal Chelbin’s portraits of juvenile prisoners in the Ukraine. The Day in Art Merch: Laurel Nakadate skate decks. Architect William Pereira’s Oscar-winning giant quid. The U.S. government’s war against…apostrophes. And many thanks to Boing Boing, Andrew Sullivan and Lawrence Lessig for linking to my ARTnews story about photography in museums!!!! Very excited to see this piece getting traction. 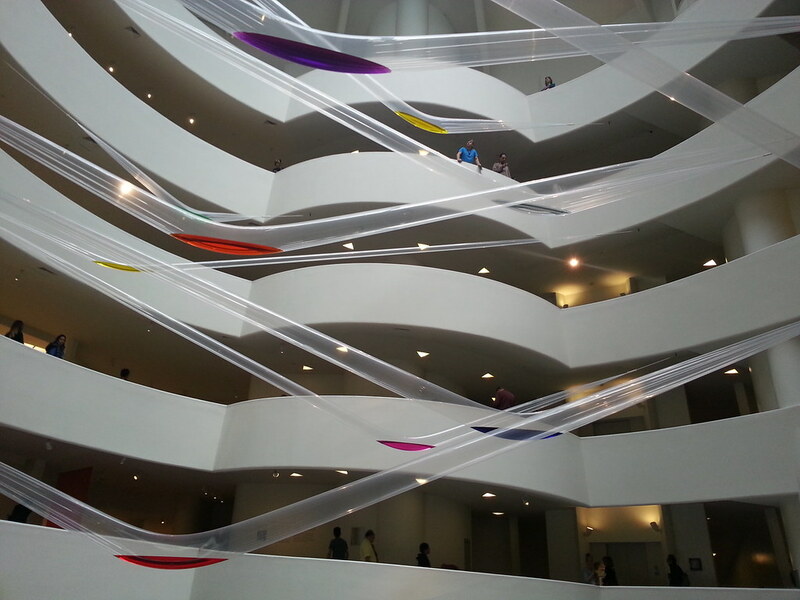 Photo Diary: Art of Another Kind — International Abstraction at the Guggenheim. 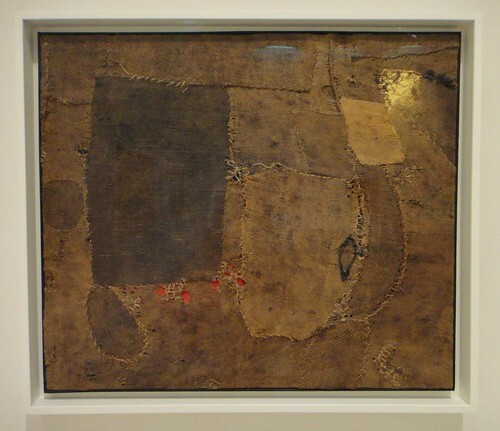 Alberto Burri’s burlap collage from 1953, titled Composition. Digging the splash of gold in the upper right hand corner. 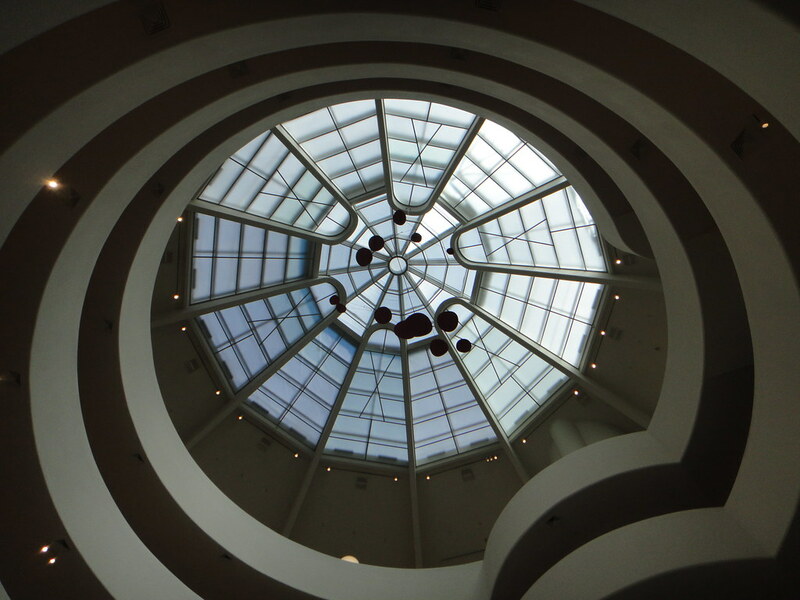 A mobile by Alexander Calder floats in the museum’s atrium. 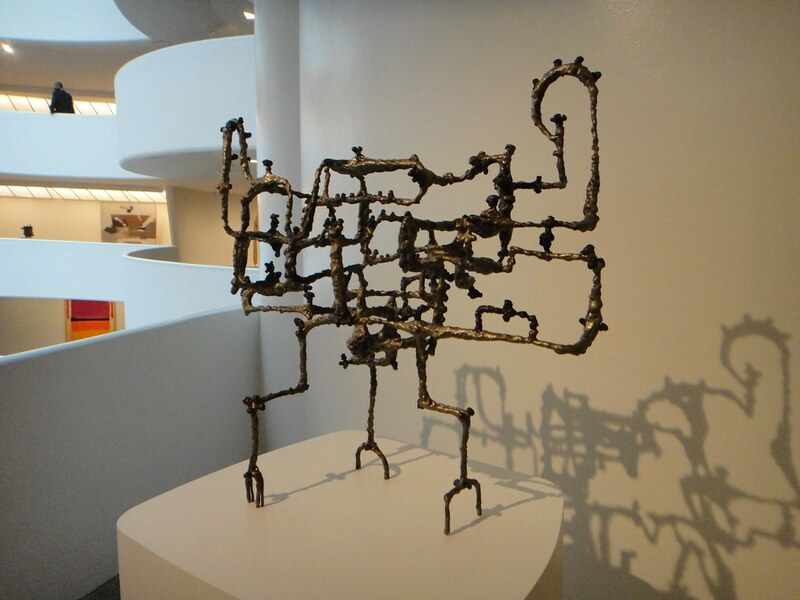 Ibram Lassaw’s Corax, from 1953 — looking like it’d just burst out of someone’s gut. Art of Another Kind: International Abstraction is on view through September 12 at the Guggenheim Museum. 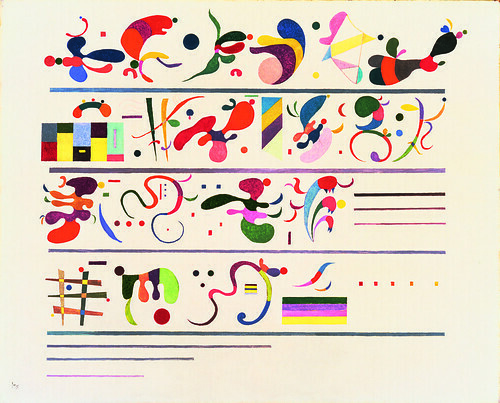 In NYC: Kandinsky at the Guggenheim, opens Friday. In NYC: Georgia O’Keeffe: Abstraction at the Whitney, opens today. In NYC: The Blackout Film Festival, begins Saturday. In NYC: Textual Landscapes: Real and Imagined, with Jim Campbell, Airan Kang, Yong-Seok Oh, Alan Rath, Ben Rubin and Marina Zurkow, at Bryce Wolkowitz, opens Friday. In Brooklyn: Liz Atzberger and Takashi Matsumoto at the Laundromat, opens Saturday one-day only. In Brooklyn: Tim Kent, All That Is Solid Melts Into Air, at Factory Fresh, opens tonight at 7pm. In Chicago: Allan Sekula: Polonia and Other Fables at the Renaissance Society at the University of Chicago, opens Sunday. In L.A.: David Lynch, at Griffin, in Santa Monica, through Dec. 12. 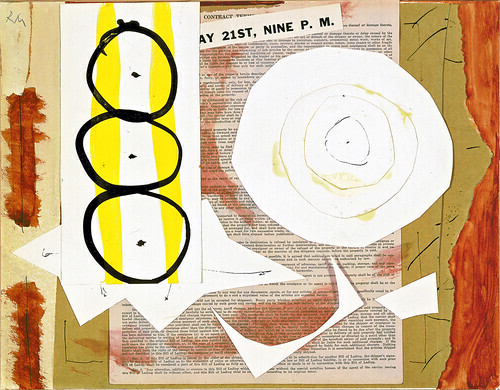 In Pasadena: Barry McGee, untitled, at 2 E. Holly Street, opens Saturday at 12 p.m. In Berlin: William Hundley, Entoptic Phenomena, at Galerie Hunchentoot, opens Friday. In Milan: Regina Jose Galindo, Juegos de Poder, at Prometeo Gallery, opens Friday at 7 p.m.